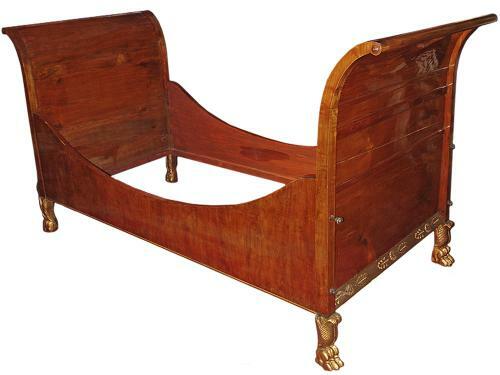 An Early 19th Century Italian Empire Walnut Lit en Bateau Bed No. 3291 - C. Mariani Antiques, Restoration & Custom, San Francisco, CA. 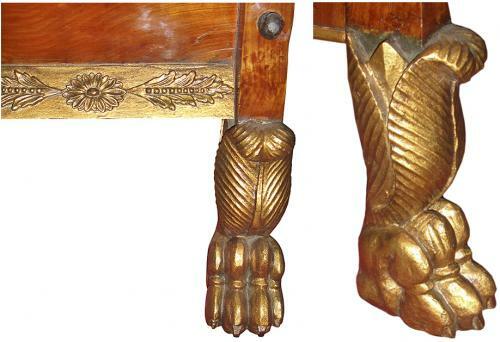 An Early 19th Century Italian Empire Walnut Lit en Bateau Bed detailed with giltwood palmettes and rosettes with the whole raised on lion’s paw feet. Height: 48 3/4"; Length: 97"; Width: 42"